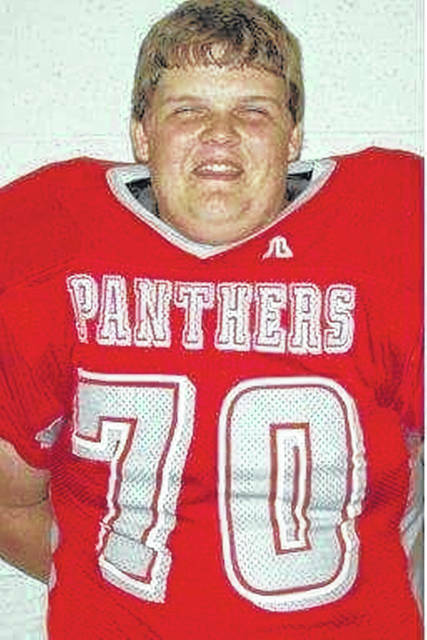 The mother of former Twin Valley Panther Joe Kasserman is running a fundraising campaign to replace the school’s sports goal posts in her son’s honor. Joe Kasserman, who die in a car accident in 2008. EATON — The mother of a former Twin Valley Panther is running a fundraising campaign to replace the school’s football goal posts in her son’s honor. Laura Kasserman is the mother of the late Joe Kasserman, who died in a car accident in 2008. Kasserman was 16 years old, a junior at Twin Valley South High School, and a member of the football team. Football, his mother said, was his favorite thing in the world. “In memory of [Joe] I wanted to do something, so I contacted the school and they said they need new goal posts. He was a football player, so I thought it would be perfect,” Kasserman said. “He was in an accident after a football bonfire. I had two sons and they were both in the car. The third boy was driving and he was paralyzed from the neck down. According to Kasserman, her son was a gentle giant. He was six foot tall and weighed 300 pounds, but cared about people more than anything else. He cared about everyone he met and wanted everyone to have a place to belong. “One of the last memories I have of him is when he went trick or treating with a kid he went to school with’s little brother, who had some disabilities. He loved to do stuff like that. He was a big old care taker and he was so funny. There was hardly anything he was down or negative about,” she said. “Sometimes it still hits me like it was yesterday. I can’t bare the thought of anyone ever forgetting him. That is why I wanted to do [the fundraising campaign]. The football field was his favorite place. He wasn’t a great player, but he thought he was. He loved the camaraderie and the team. That was the most important part and, besides China Wok, his favorite place in the world. “Our life stopped for a long time. We stopped living, and it is now starting to pick back up, but I don’t want to leave the old chapter all behind. I don’t want to have a time in my life that Joe is not a part of. Every bit of the money I raise will go to the school’s sports goal posts. If interested in joining Laura Kasserman in her campaign, donations are accepted through her gofundme page at https://www.gofundme.com/tvs-goalpost-fund-in-memory-of-joe or can be made directly to Twin Valley South. https://www.registerherald.com/wp-content/uploads/sites/41/2018/08/web1_joe-uniform.jpgThe mother of former Twin Valley Panther Joe Kasserman is running a fundraising campaign to replace the school’s sports goal posts in her son’s honor. Joe Kasserman, who die in a car accident in 2008.